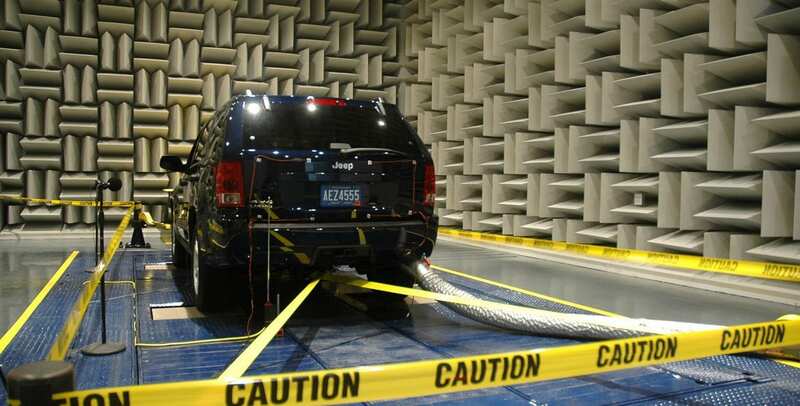 Material Sciences Corporation’s full anechoic chamber is used for sound transmission loss testing. It’s specifically designed with sound-absorbing wedges to allow for the smallest radiated noise measurements. From these measurements, MSC can then determine the source of the noise and where to apply their acoustic noise treatments, such as Quiet Steel® or MSC Smart Steel™. Material Sciences Corporation’s unique ability to test under extreme environmental conditions and detect the lightest sound is a key differentiator in the way it optimizes products.